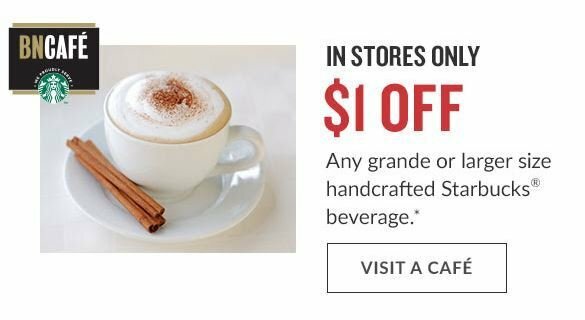 *$1 Off Any Grande or Larger Size Handcrafted StarbucksÂ® Beverage. This coupon will print on the receipt after a purchase of any item in participating cafÃ© stores only. Coupon valid until 2/23 at close of business. Limit one per transaction.